Yes, dental implants can be used to support cemented bridges, eliminating the need for a denture. The cost is usually greater, but the implants and bridges more closely resemble the feel of real teeth. 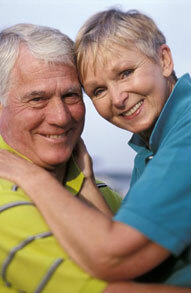 Dental implants are becoming the alternative to dentures but not everyone is a candidate for implants. Contact Railroad Dental Associates for the right options for your needs.